First of all, I want to apologize for the length in between blog entries. But with all of the things going on with my arm, including rehab starts, the set-back in Omaha and flying around the country for doctors appointments, there’s been a lot going on. So that’s the main reason I haven’t been in touch, not to mention the All-Star Break didn’t help much either. I’m sure by now that everyone knows that I went to Cincinnati on July 21 and had elbow surgery. It began when Dr. Timothy Kremchek was going to perform exploratory surgery on my left elbow and see what the problem was in there. It was quite obvious to me, knowing my body, that there was something going on in my elbow that was not allowing me to pitch effectively and finish my pitches, not too mention it had been hurting for a long time. 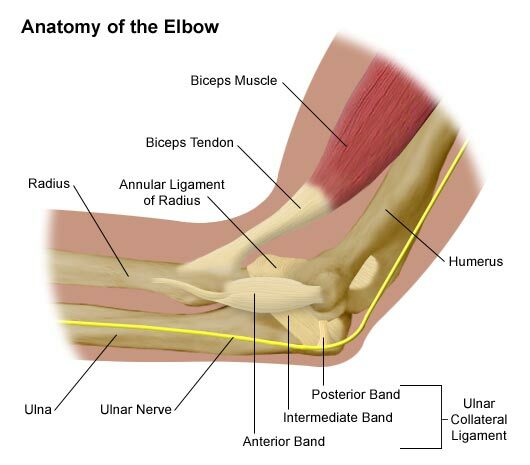 When I came out of surgery, Doc came in and explained to me and that the damage to my elbow was extensive. However, on the good side he was able to get it all cleaned up. In fact it was not only as good as new, but actually better than new. I had a tear in my flexor tendon that he was able to repair. I had two bone chips that were so big that he had to use a tool to break them up while they were still in my elbow. After that, they pulled out the bones piece by piece. He said, “I do these surgeries all the time and I don’t ever see bone chips these big.” So those were a bit unexpected. Then of course he found a tear in the ligament and pulled a tendon out of my left wrist and drilled a couple of my holes in the bone in my elbow and weaved that tendon in and out of there. He said the tendon was very healthy and very strong, so he was able to wrap that through there six times, which is the maximum you can get. Dr. Kremchek said that the procedure went very well and that my elbow is now stronger today than it’s ever been. So there were a lot of good things that came out of it. Just knowing that the situation is fixed, I can look forward to rehabbing and getting strong again. It’s encouraging when the doctor says there is no doubt that I have a lot of innings ahead. The only downside, is not being able to pitch now and not being able to help Kansas City. I think the one thing that does bother me, and it’s obviously out of my control, but it’s knowing that I wasn’t able to fulfill the length of my contract and remain healthy. Every athlete wants to perform well, especially when you’re rewarded with a free agent contract and I wasn’t able to do that. I’m just kind of hoping you can make that up to the Royals some day. It’s unfortunate, but that’s part of the game, Now I’m going to try and be an encouragement to my teammates and help out in any way that I can help on the field, all the while, making sure I’m going to be ready to pitch in the Major Leagues for whoever will have me. Maybe that can be Kansas City and I can make right for these past two years. I don’t think I would be too expensive of a player, and hopefully I can put up some good numbers and have some good years. On a different note, I want to congratulate Mike and Shara Sweeney on the birth of their new daughter. Having been through that in February, I know that “Daddy’s Little Girl” syndrome is going to kick in right away. So I want to wish them all the best. Despite my surgery, I’ll still be checking in to give some rehab updates and my thoughts on the team. Hey Brian…we all wish you a quick recovery and hope you can be with the Royals again soon.For sure by the time you guys come to Oakland so we can all see you here.You are always one of the ones we are most excited to see when the team comes here.You will have many great games next year…hopefully with the Royals.I wish you the best on your recovery. I have to say, I couldn’t be happier for you that the doctor was able to get you all fixed up. That’s good news for everybody involved. You’re right, it’s rough that you won’t be able to help out the Royals from the pitcher’s mound this year, but I think it would be silly for the Royals not to bring you back next year. Not only are you one of the fan favorites (at least from the people that I’ve talked to) but with your arm all fixed up you’re sure to do some dominating next year. Those other teams had better look out. Good luck and all the best. Best of luck with the recover man. Take your time getting back. The young guys on the team are starting to step through and everyone is playing well in your absence. It is nice to see what you guys have been able to do with Buddy and hopefully this past month is a sign of things to come. I mean even with a 4 game losing streak to start July, the Royals are still 10-11 and each day they are showing improvements. Just came across your blog and I thought I’d drop you a line. Dr. Kremcheck performed the same surgery on my elbow in 2000. It was a pretty intense ordeal, but I don’t think I could have been in any more capable hands than those of Doc Kremcheck and his staff. He was always very positive and upbeat and very encouraging. No question about it, the months ahead of you are going to be tough. The stretching of the arm after you get out of the brace is pretty intense. The thing that always kept me going was knowing I was going to have an opportunity to at least try and throw again. Finally, that happened after 7 months of rehab. It starts slowly, only getting to toss about 45 feet at the beginning, but as you see your progress you will get even more motivated to keep going. Eventually, you work your way back to the mound and it is all worth it. I wish you tons of luck with the recovery, I know it won’t be speedy, but I will definitely be pulling for you and hope for a successful return to the hill! I wish you a speedy recovery and I hope everything goes well. I hope you are back and pitching again (maybe for the Diamondbacks again). We sure can use you here. Take care and good luck with your recovery. Good to hear the surgery went well. I’m sure Runelvys Hernandez can be an inspiration for you in the tough tines of rehab. He certainly appears to be better than ever after his surgery. I hope come opening day 2007 that you are in the Royals rotation showing the form of late ’03 when you got here. Best of luck! Brian– glad surgery went well. I have always been a big fan of yours from your times in Cleveland. I was sorry to see you go both times, but maybe you will end up back here again. Let us know how rehab is going. Thanks! Hey Bri- So glad to hear the surgery went well and that your arm is better than ever! I am just going to keep the faith that you will be back in a Royals uniform next year, where you belong. But as I have stated before, no matter where you end up, I am your fan for life! Anyway, I can’t wait to see you on the field again. I’ve missed seein’ ya run out to the pen! Well, keep the faith, and will see you soon! Good luck with the rehab. I am sure you’ll be highly motivated knowing you can get back to where you were before and then some. I also hope the Royals are in your future. It is good to have you in the uniform and as a part time resident. previous post had wrong email address. Good luck with your recovery. So nice to be able to follow a “hometown boy” from ‘bula (well close enough with your ARC days). We would love to see you back in Cleveland! I am very happy to hear that you came through your elbow surgery with flying colors. I hope your rehab goes well and you have a full and speedy recovery. In addition, I along with others certainly hope that your in the future plans of the Royals. Once your recovery is completed, I still believe that you have a lot to offer this Royals team with your leadership, experience, and now a healthy elbow. I just hope you get the chance to show it especially here in KC now that your on the road to recovery. Finally, I just want to thank you for allowing us fans the opportunity to see things from your eyes not just about Royals baseball, but life in general. I look forward to seeing you back on the mound where you belong. God speed to you and your family! Respectfully. Phil C.
I wish you well in rehab Brian. Hopefully you will have a speedy recovery much like our Cubbie reliever Scott Williamson and be back with the team soon. Also, congratulations to your team for finally beating the White Sox. Go Cubs and Royals! I’m so glad that your surgery went so well and I hope that rehab goes well so you can get back into the rotation next year. I am a big fan of yours and the Royals! My friend told me about this blog of yours so I had to check it out. You’re a pretty cool guy I must say. I like the insight that you give on what it’s like behind the action. I also enjoy listening to you talk with Bob and Paul on RSTN. Keep up the good work and I hope your elbow remains healthy and that everything goes well for you. I look forward to seeing you back next year with the Royals! Brian, I must say that I think you are really hott! Good Luck with the rest of the season! Thank you for taking time to visit with our son at Beacon during his post-op physical therapy. He was pretty miserable. You made him feel good when you told him he was lucky to get a new stronger ligament at 12, because you had to wait until you were 33. We are so grateful to Dr. Kremchek for performing this surgery on our son. Our local doctors recommended he quit baseball until he was old enough to have surgery. We didn’t really know who you were when you walked into the room, but we do now. We’ll be following your progress and we’ll look for you at Coors Field next time you’re in town. Best wishes for a quick return. I wish you the best of luck in your recovery as well as a speedy recovery. Can’t wait to see you back in royal blue. I’m sorry that you had to have Tommy Johns surgery. I wish you a speedy recovery and hope to see you next season. I was curious if the Anderson Foundation website was still avaliable (on the net), do you have the proper web address? Thanks! Glad to see that your surgery went well and that you will make a full recovery in time. Also, glad to see you have kept a great sense of humor through all these trying times, it can’t be easy. Youre in my thoughts for a speedy recovery. You’re a great pitcher and the Royals need you. Mind the doctor’s orders and take it easy. You’re going to come back 110%! Best of luck on your recovery, I really hope the Royals are able to bring you back and you can help us contend in 2007, because I dont think we are too far off! I had lunch with you at the “Welcome Home Luncheon” and you seem like a genuine normal guy and that is refreshing to see……..How is Anna enjoying her guitar? Miss seeing you out at the K, take care and get back on the mound soon! Hey BA. Too bad you couldn’t have been healthy while you were with the Royals. I wish you luck for the rest of your career, whether with the Royals or another team. Good luck on your rehab, and workout program to get back in shape next January. I like your “serious” way to pitching more than the clown Jose Lima’s who thinks it’s just a game, we want to win unlike Lima. Hey BA I have a very important question you are in a unique position to answer for me. My son’s pitch, and i was surfing for tips to help them, and found pitching.com. That site had an article from a pitching coach and physiologist that talked about the harmful effects of throwing long toss and pitching off of flat ground. Now I understand that goes against everything my beloved Royals and other MLB teams do. To make a long story short they talk about how because you are throwing uphill slightly when doing LT, and to a lesser extent BP sessions from flat ground, that you are actually using completely different muscles than those you use when throwing off the mound. This leads to injury, and does nothing to help your pitching according to them. I know this is getting too long, but I really worry that all the young Royal arms (of which your elbow now qualifies :))are going to be wasted because these practices have become such conventional knowledge. They recommend pitching at game speed from a mound as the true solution. I would be forever grateful if you could look into this with Guy Hansen. Good luck with the rehab, don’t rush it, we need you 100% in 2007. I BLEED ROYAL BLUE, GO ROYALS. I wish you a speedy recovery and I hope you stay with the Royals. We could always use loyal guys, guys like you and Joe Randa(who we all miss I’m sure). It’s good to know there are guys out there that care less about how much money they’re making and more about their playing. Whether you play for us or not, you will always be a Royal to me, no matter what the uniform may say. You may not even remenber me, but Doc Hollywood did my Tommy John surgery too and the first 6 weeks **** the most, rehab isn’t fun but it does get better. Sometimes the worst part about rehab is not the pain, but the depression of not being able to perform the way you know you are capable of. Based on the extent of your damage, you’ll be glad you had it done, by 10 month you’ll be full go, just don’t change your mechanics to compensate. Whatever comes of your major league future we are all still proud of you. I wish you well in your recovery. This kind of surgery is very delicate and detailed. Looks like you have a pretty accomplished doctor who knows how to rehab. I am wondering what kind of jack you might be expecting since you are a less than .500 win loss pitcher? Maybe your agent can market you like skinnier version of David Wells. Reasonable pitching talent with a sharp as a tack wit of a personality. Maybe a 1 year contract loaded with incentives to stay healthy. Granted you are a southpaw and that is always in your favor. Coaching is always a consideration. The Golden Baseball League that plays out here in AZ and CA are always looking for coaches to bring in the crowds. You would be a nice attraction. Kind of a carnival atmosphere. Best of luck to you and your family while you recuperate. I am glad that the surgery went well! IT certainly must be a relief to you to know that that the Doctor both discovered and repaired the more extensive problems during the operation. I had a similar situation involving surgery as a high school athlete where the doctor and I were anticipating minor surgery but once he got inside he was able to correct additional problems that were not initially believed to be present. This should give you peace of mind that everything that ached was medical restored. I won’t lie, recovery will be tough as you well now. Remember baby steps and a positive frame of mind are the best cures along the road to recovery. I have enjoyed reading your articles. Thanks for giving back to the fans, and for both joining and performing superbly during the 2003 pennant run. Best of luck to you. I just came across your blog today, but I must say- it’s great! I am a 14 year old (left-handed :P) girl and I am a pitcher also. Not softball, but for a real baseball group for girls. You have influenced me a lot and I would like to say good job with everything you have done so far in your career and good luck with that elbow in recovery, so that you can keep on pitching. Brian, best of luck to you as well as to KC. Despite all the insults befalling your team, I’m still a fan. Brian, good luck with your rehab…sounds like you’ve needed it for a long time ……sorry I booed your *** last year for getting SHELLED around the yard, not really….I have never seen such horrible baseball. Come On Royals! I KNOW you can win! Break this ugly streak! Hope your rehab is going well Brian. I can’t believe that the famous rwende@hotmail.com decided to join the party. I followed your major league career and you were one of my favorites. What’s that you have not played in the majors. My mistake I thought that from your comments you have actually played the game and were one of only 750 plus people in the world who can play major league baseball. You are going to get on someone who has been to 2 World Series won 1, was drafted third behind A-Rod and Dreifort and has been pitching with a destroyed elbow for the last year and a half. You give dumb fans a bad name. Next time you are on your break at 7-11 maybe you can post another response. It’s been awhile. Just wanted to congratulate you on your little girl and wish you the best of luck with your rehab. If things don’t work out with the rehab, Murf and I always have room for a light hitting switch hitting outfielder on our softball team in Cincy. Just kidding, I’m sure you’ll be back by spring training. OK, enough slacking, it’s time for more words of wit and wisdom – miss ya. Still your favorite aunt?? I sure hope your feeling better and was looking forward to seeing you down here in fla.guess it will have to wait till next year. saw your dad in june and he told me your arm problems were worse than we all read about. too bad it had to come on your last year of contract and hopefully you’ll be fully recovered. I will keep tabs on you as usual and hope to see you next year against devil rays.take care abd get better. First, I appreciate you taking time to write and stay in touch with your fans. I am very glad to hear your surgery went well and look forward to hearing how the rehap and winter goes for you. I have been a fan of yours since you were pitching for Wright State. I grew up in Marietta, Ohio (home town of your teammate Brian W., I don’t want to give out his name) I used to get all the updates from Brian and his father on how the both of you were doing and how you both had nasty pick off moves! I am now a High School Varsity Baseball Coach in Ohio. I miss checking the box scores every 5th day to see how you did the night before since you are no longer in Cleveland where we can watch you. I am curious if you have ever or are willing to do a pitching camp for High Schools guys? Anyway, Good luck with the rehab and we all look forward to seeing you back on the mound next spring! B.A.-it’s been awhile man! Where are the new entries? Keep us up to date on how your rehab is going, and are the Royals even talking to you about resigning for at least next year? I hope so. Can’t ever have too many quality lefties can you?! Hey there Brian! You might or might not remember me from back in the day. I was a good friend of Mike Hawes and your sister from Peoples Church but it’s been forever since I’ve seen either. I know our parents talked alot and they passed along updates about your career. However my Parents moved to Florida last year and I don’t get as many now. Anyways I’ve followed your career of course and I’m sorry about the elbow. I hope all goes as pan with your recovery and we see you back on the Diamond in the spring. You need to take a pay cut and come back to the Indians! I know you want another ring and all…he he!! Take care Brian!! Hi Brian, I am a college ball player and I will be getting Tommy John surgery. I was wondering if you know of any doctors in Massachusetts who are good at doing this operation. Brian, I could not be happier for you in your success you have had since the surgery. I am a student at Mississippi State University and I just had Tommy John surgery and I am rehabing to play here next season. I would love to here from you, because I have a few questions I would like to ask you. My alternate e-mail is krh108@msstate.edu Thanks and good luck with the upcoming season. Has this injury given you time to think about careers other than pitching and given you time to focus on the new child you have coming? Baseball is after all just a temporary job. I was thrilled today to see you on the AAA roster here. Hope to see you pitch. I miss watching you in Arizona. What’s up? I ran into you Friday, July 7,2006 at Sharky’s in Dayton, OH. I don’t think you remembered me when I got your attention, but who am I right? I met you when I was playing for H&H Morgan the summer you were drafted by the California Angels. I used to hang out with Joe Nadeau from Wright State. You would sometimes come to UD and hang out at our house in the ghetto. If this jogs your memory, I was the guy who played the guitar. Anyway, I wanted to say I appreciate you talking to me. I’m sorry to hear about your arm. I hope your able to overcome your arm problems and keep living every man’s dream of being a major league baseball player. Hopefully one day I’ll run into you again. Thanks, Jerry “Bo” Richard. brian,my son is scheduled to have tommy john surgery with dr kremcheck this friday he is 16 years old. we are pretty freaked out right now, are we at the dr? My son, Sheldon, is scheduled to have TJ surgery on Tuesday in St Louis. We have been trying to find a suitable physical therapist for post-operative rehab in the Kansas area but have not been able to locate one for this type of rehab. Do you have any recommendations? Where did you get your rehab done? Thanks for any information you can pass along.